Tucson, AZ, WPH Press, 5/11/18– The Race 4 Eight season 7 produced several of the most exciting matches in the seven-year history of the tour, two new Race 4 Eight champions, two new venues, and major shakeups in the Race 4 Eight rankings. Checks out the recaps from the seven stops on the 2017-2018 Race 4 Eight 7 season. R48 #1 Killian Carroll picked up where he left off last season, dominating the field in Atlanta to win his fourth Race 4 Eight title in five starts in 2018. Carroll cruised past the tour’s youngest star, Tyler Stoffel, in the opening round, ousted the tour’s oldest star, Marcos Chavez, in the quarterfinals, and survived four close games in the semifinals and finals against Sean Lenning and Mando Ortiz, respectively. Luis Cordova and Daniel Cordova served as the unofficial hosts in their hometown event, taking sixth and third, respectively, to kickoff their R48 7 campaigns. 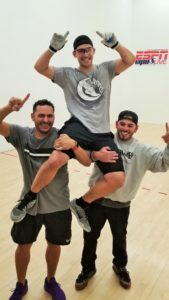 The 2018 Tucson Memorial honored those handball players and supporters the handball community sadly lost in 2018, with 2018 losing one of its greatest players in history, David Chapman, and one of the WPH film crew’s hardest workers, Ben Manning. The Memorial was played in the honor of Chapman and Manning, as is the entire Race 4 Eight 7 season. In the R48 Men’s Pro, three-time R48 champion Robbie McCarthy made his ninth start of his R48 career at the ’18 Tucson Memorial, boasting three R48 titles in his first eight R48 starts dating back to 2011. McCarthy swept second-seeded David Fink in the opening round, cruised past Irish compatriot Peter Funchion in the quarterfinals, but found himself trailing 3-15, 1-14 against a white hot Sean Lenning in the semifinals. McCarthy staged the greatest comeback in the history of the Race 4 Eight, fighting off match point four times to eventually tie the score at 14 to force overtime. McCarthy survived overtime and dominated the third game to advance to the final. For Lenning, it would be the first of three historic R48 matches in three R48 7 events (keep reading). R48 #1 Killian Carroll showed no signs of slowing down at the Tucson Memorial in the upper bracket, defeating Shorty Ruiz, Daniel Cordova, and Mando Ortiz en route to the final. Carroll was too strong for McCarthy in the final, pulling away from the “Buzzsaw” midway through the first game to clinch his fifth R48 title of 2018 and solidify his #1 ranking. Catriona Casey was aiming for her 13th WR48 title in 14 WR48 starts at the Tucson Memorial and appeared to be in complete control in the final, as she led Martina McMahon 16-14, 6-0 in the final. McMahon rallied to stun the WR48 #1, outscoring Casey 30-6 in one of the most unexpected turnarounds in the history of the tour. “Martina’s hop on her serve and power really changed the match,” stated R48 pro Shorty Ruiz. “Martina was able to put Catriona under extreme pressure and from there started to execute her shots.” McMahon’s comeback earned the Irish left-hander her first WR48 title and yellow jersey. Montana hosted its first Race 4 Eight event and quickly established itself as one of the premiere R48 events in history. The Red Death provided outstanding hospitality, the largest galleries in Race 4 Eight history, and one of the most electrifying settings for a Race 4 Eight event in the seven-year, 45-event history of the tour. Killian Carroll made his way to his third consecutive final of the season, defeating Abraham Montijo and Luis Cordova en route to the semifinals. Awaiting Carroll in the semifinals was Sean Lenning, just three hours removed from one of the most thrilling third-game endings in Race 4 Eight history. Carroll cruised past Lenning in the primetime Red Death semifinal to advance to the first R48 Red Death final. Mando Ortiz advanced to his second final of the season in the bottom bracket, surviving a three-game battle with Shorty Ruiz in the opening round, dominating his LAAC teammate Marcos Chavez in the quarterfinals, and surviving another three-game battle against David Fink in the semifinals. Ortiz became just the second player during the R48 7 season to win a game against Killian Carroll in the final, taking game one, 15-12. Carroll evened the match by dominating game two and held a seemingly substantial 12-6 lead in the tiebreaker. Ortiz started his charge but fell just short, as Carroll won his third title of the season, 15-11 in the third game. 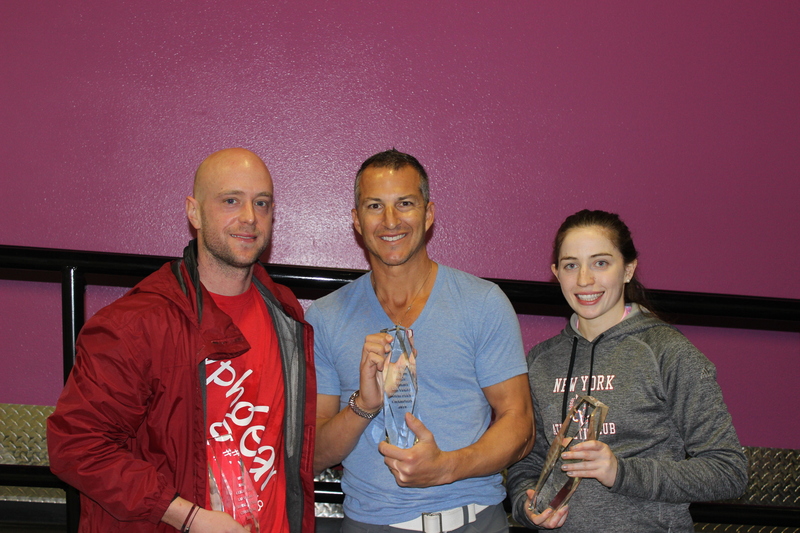 Las Vegas hosted its first official R48 event in history in the middle of February, as the top R48, WR48, and SR48 stars battled for R48 crystal and yellow jerseys in Sin City. 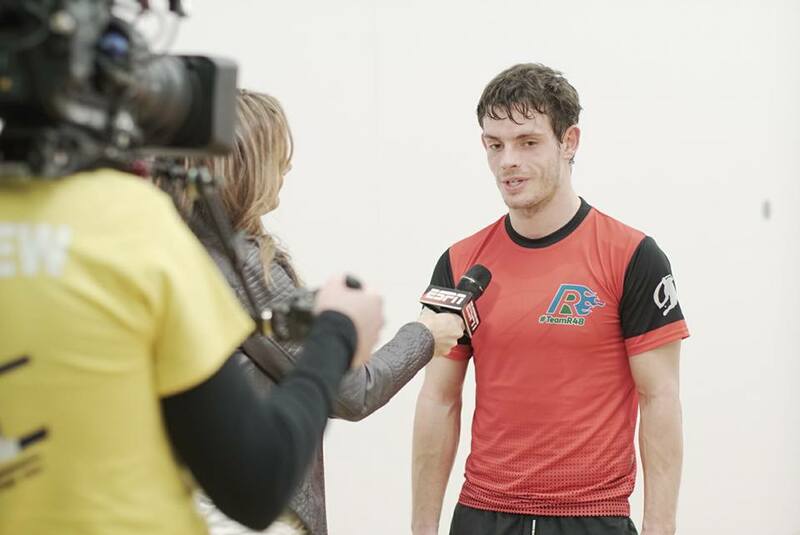 Killian Carroll found himself in his fourth final of the season, dispatching Dalton Beall, Emmett Peixoto, and David Fink en route to the final. Sean Lenning entered the Royal Flush as the #3 seed, having advanced to three consecutive R48 semifinals to start the season. Lenning was dominant en route to the semifinals, defeating Erik Torres and Daniel Cordova to setup a clash with Luis Cordova. Lenning had lost four consecutive matches against “Lucho” last season before ending the losing streak in Atlanta in October. “The Freak” trailed by one game in the semifinal, but evened the match and overcame a 0-4 third game deficit to score 15 consecutive points to advance to his first R48 final in more than a year. Lenning started slowly in the final, just as he had the night before in the semifinals. “I just couldn’t get my wing warmed up,” Lenning would later say. Lenning did warm up his wing in game two, consistently finding the bottom board from virtually every spot on the floor. “I’ve watched Sean play for years and I’ve never seen him shoot the ball like that,” stated USHA grand master and Lenning superfan Charlie Wicker. 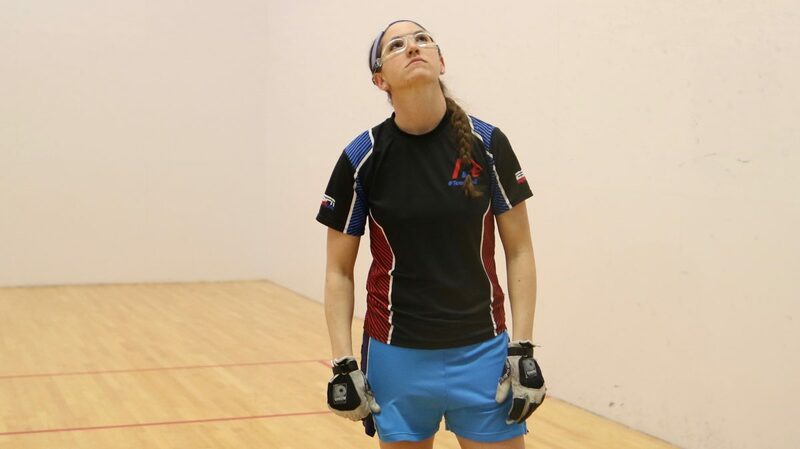 Catriona Casey bounced back from her shocking collapse in Tucson to decimate the WR48 field in Las Vegas, outscoring her three overmatched foes 90-9. 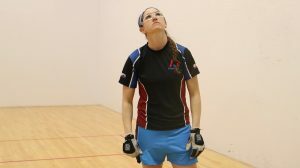 Despite falling in the final, former national finalist and mother of two Courtney Peixoto de Melo advanced to the final with impressive wins against WR48 top five pros Tracy Davis and Aimee Tuohey. 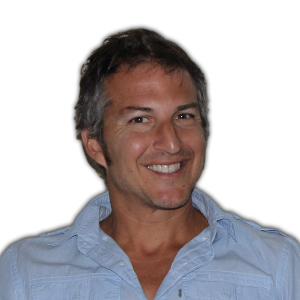 Marcos Chavez was seeking his 10th SR48 title in 13 SR48 starts, but was defeated for the second time in the event (R48 quarterfinals) by David Fink in the final. Fink clinched his first SR48 title in his first SR48 start. 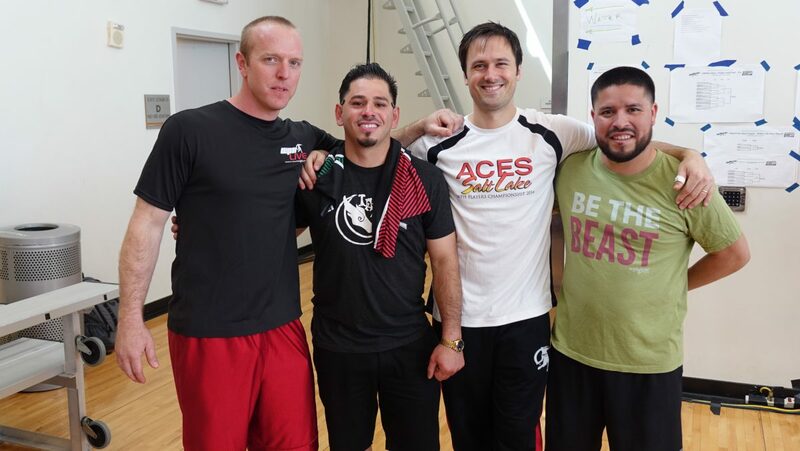 Houston featured R48 and SR48 finals rematches from Las Vegas four weeks prior, as Killian Carroll and Sean Lenning collided for the fourth time during the R48 7 season and Marcos Chavez and David Fink clashed for the third time in four weeks in the SR48 final. Carroll led the R48 head to head against Lenning 6-2, having lost the first and last encounters and winning all six matchups in between. Carroll played with purpose and conviction in game one of the Houston final, setting the tempo with a hard power serve and bottom board kills to dominate game one, 15-1. “It wasn’t like Lenning was playing badly, there was just nothing he could do,” stated R48 pro Ryan Bowler. Marcos Chavez was seeking his tenth SR48 title on Sunday in Houston, but would have to overcome fellow Elite 8 rival David Fink. Chavez and Fink met in the Las Vegas SR48 final, with Fink clinching his first SR48 title in his maiden start. Fink started hot in the final against the top seed, scoring 12 points in his first inning to take control of the match. Chavez was never able to find his game, as Fink kept Chavez on his heels with a two-way power serve and fly kills to clinch his second SR48 title in two starts and the SR48 #1 ranking. “There’s a new sheriff in town on the SR48,” quipped Chavez. Killian Carroll advanced to his 10th consecutive R48 final on in New York and would be seeking his fifth R48 7 title in six starts this season. Daniel Cordova advanced to his first final in New York, reaching the immense potential he had flashed for several years on tour on his romp to the final. 16-time WR48 finalist Catriona Casey was seeking her second WR48 title of the season and 14th overall, while current Women’s Classic champion and “The World’s Most Interesting Woman”, Suz Koehler, was appearing in her first WR48 final, having ousted Tracy Davis and Danielle Daskalakis en route to the final. Casey played flawlessly in the two-game final, demonstrating her ability to hit every shot with both hands. 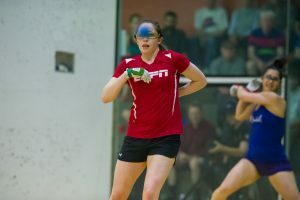 Koehler was up to the greatest challenge in handball, digging many of Casey’s best shots and executing offensive opportunities when given the chance. Koehler earned all of her points, only one of which was the result of a Casey error. Casey continued to rewrite the record books with her 14th WR48 title in 16 WR48 events, outscoring her three New York opponents 90-7. Killian Carroll and Sean Lenning met for the fifth time during the R48 7 season and for the third time in a final, with Carroll winning three of the four R48 7 matchups. Lenning was the only player to defeat Carroll during the R48 7 season, rallying from a 0-9 third game deficit to stun the R48 #1 in Las Vegas. Carroll is the only player to have won two Player’s Championships in the history of the R48 and would be seeking his third in Sunday’s final, while Lenning would be seeking his second Player’s Championship. Carroll and Lenning played the game at its highest level from the start of the final, with both superstars littering the stats sheet with bottom-board kills and ace serves. Carroll appeared to take control, taking a 12-8 first-game lead. Lenning earned a side out and scored the next six points with a barrage of fly kills and left-handed “spoiler” kills to serve for the first game at 14-12. At 14-12, Lenning hit his first serve short and second serve long to hand Carroll the serve with a shocking double fault. Carroll took advantage of the opening, forcing overtime and eventually winning the game on his fifth attempt. David Fink and Marcos Chavez met for the third time in a SR48 final during the 2018 SR48 season, with Fink winning the first two encounters in Las Vegas and Houston. Chavez had never lost a SR48 match in Salt Lake City and was aiming to defend his SR48 Player’s Championship, while Fink was trying to win his first SR48 Player’s Championship. Fink led throughout much of the first half, but very little separated the two, as the lead was never more than three points. Fink took a 15-13 lead at the half and stretched the lead to 17-13. Chavez tied the score at 18, changing his serve and catching fire on his patented back wall kill. Fink regained control, taking a 22-18 lead with a right-handed back wall flat kill, but Chavez was not about to let his Player’s Championship defense end. Fink missed several opportunities to score the 23rd point and Chavez rallied, switching to a power serve and running out the match with seven consecutive points. 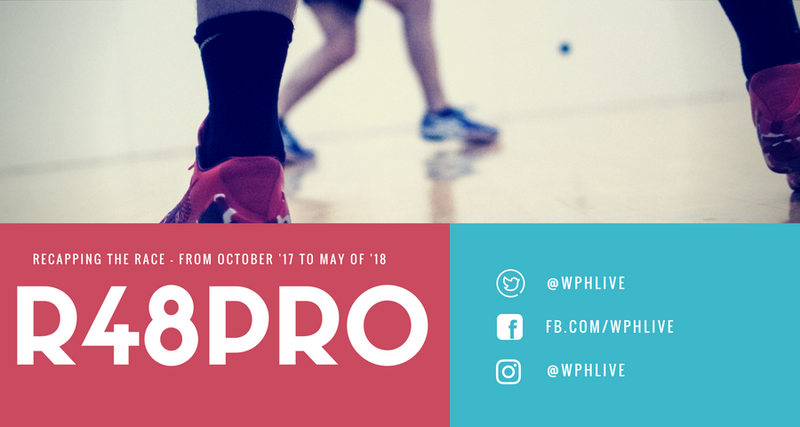 Thank you to the WPH staff, volunteers, hosts, and players for an outstanding season. The R48 8 starts in just under five months in Atlanta!